If you're just getting started with your family history or you're a "Rock Star Genealogist", many don't know about these free apps out there. 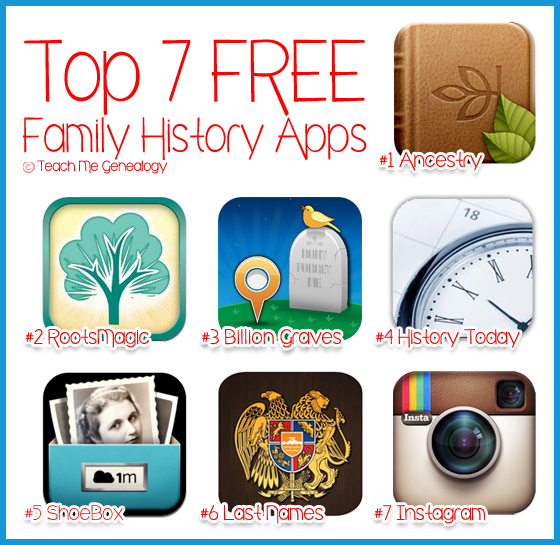 So, I wanted to share my Top 7 FREE Family History Apps for your iPad or iPhone, and YES, I use these and love them all!! UPDATED JULY 2, 2013. #1: Ancestry App by: Ancestry.com: - Build, update, and show off your family tree. I use this to retrieve and build my family tree plus get quick access information to ancestors. 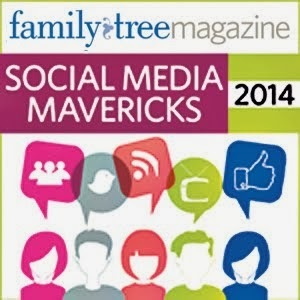 #2 RootsMagic: by RootsMagic - Your family tree at your fingertips! Now you can easily take and show off your family history with you wherever you go. RootsMagic lets you carry your genealogy on your iPhone, iPad, and iPod touch! #3 Billion Graves - by BillionGraves.com: Take photos of the headstones in your local cemetery with your iPhone/Android. Then upload and transcribe. Then, search for your ancestors. #4 History Today - by Joe Sriver Education: is a stylish calendar that lets you view Birthdays, deaths, historical events, quotes and more. Share them via Facebook, Twitter & email. #5 ShoeBox - by 1000memories: Is the fastest way to scan your old paper photos and share them with family and friends. As featured by Oprah Magazine, USA Today, Wired, Forbes, GOOD, and the Associated Press. #6 Family History and Genealogy records - by Adv Webbing: How much do you really know about your family name? Discover the meaning and origin of your Last Name. FREE app for iPhone and iPad. #7 Instagram - by Burbn: 80 million users love Instagram! It's a free, fun, and simple way to make and share gorgeous photos on your iPhone. Note: Originally, there were two apps on this list that are no longer here; Family Search Indexing and On This Day. The Family Search Indexing app no longer exists, and On This Day has started to charge a fee. So, the updated list is above; and I know you'll love them!! So use these FREE Family History apps to discover a new story...your story!!! So sad. I tried to download the Indexing app and was told it isn't available in the US. Shawna, I have downloaded it and use it on my iPhone. Maybe you have downloaded a different app than I have. I have been using the Family Search Indexing app. Let me know if that helps. The app has been withdrawn from the app market. They released it in 2012 as a beta version as an experiment. Now that they have gathered the information on what works and what needs to be fixed, they've stopped the download for the app. Hopefully they will come out with another app in the future but so far no news on that subject. Thank you Chelsea!! I appreciate you bringing that to my attention!! 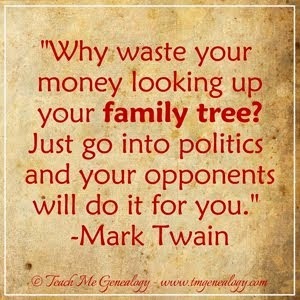 I have taken off Family Search from the above list and added RootsMagic in it's place. You'll also notice that the app "On this day" has been removed from my TOP 7 LIST because it now charges a fee. I found a great free app called "History Today" to take it's place. Hi - Are there any apps for those of us who use Android Phones? Hi - are there any apps for Android users for Roots Magic, etc.? I don't have an Ipad, etc. Nice apps thanks for sharing. I don't know that how to use these apps. Can you give me some suggestions through your posts. 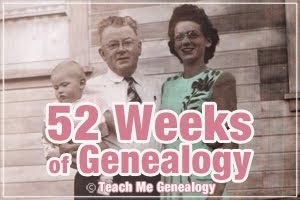 I am going to start family history soon. I am searching useful apps which will prove useful in my work. 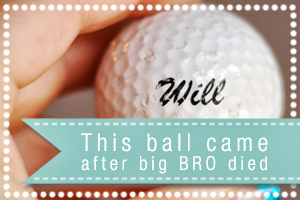 yesterday I opened your website and saw this post. I am very happy to know these useful apps. I am sure that these apps will definitely help me to get success. Thanks for sharing. The Tree app is more than just a viewer. If you touch a person in the pedigree it will split the screen and give you access to Detail, Spouses, etc. I believe it can be very useful.